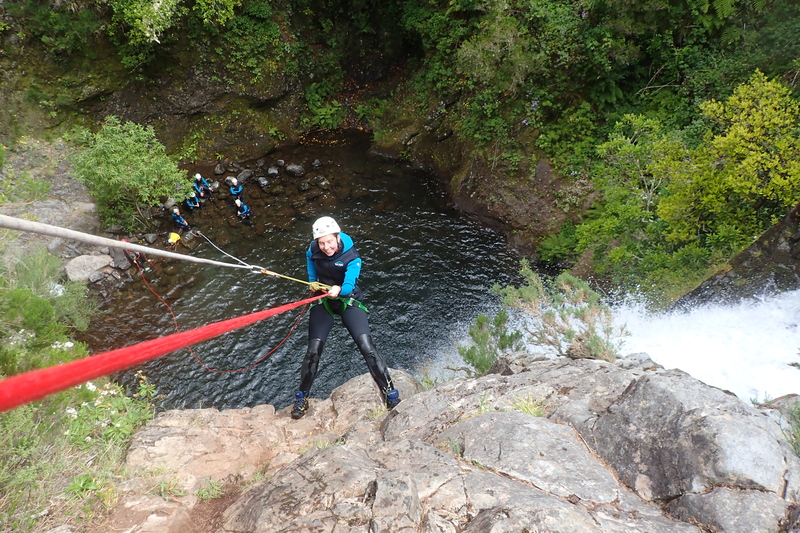 Are you ready to go down? 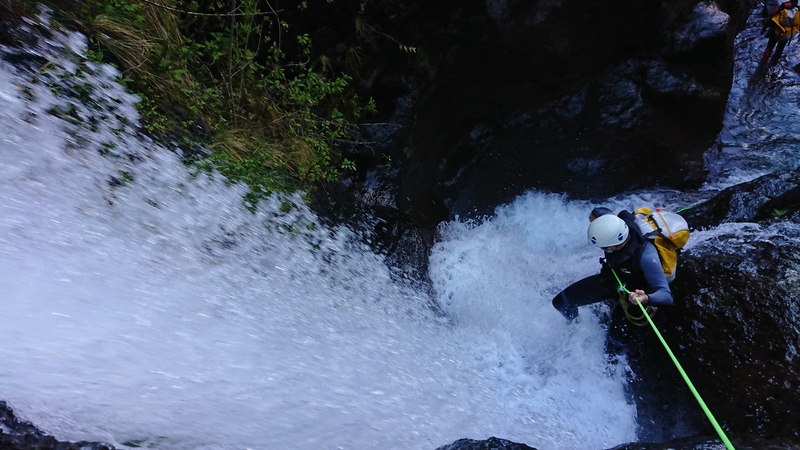 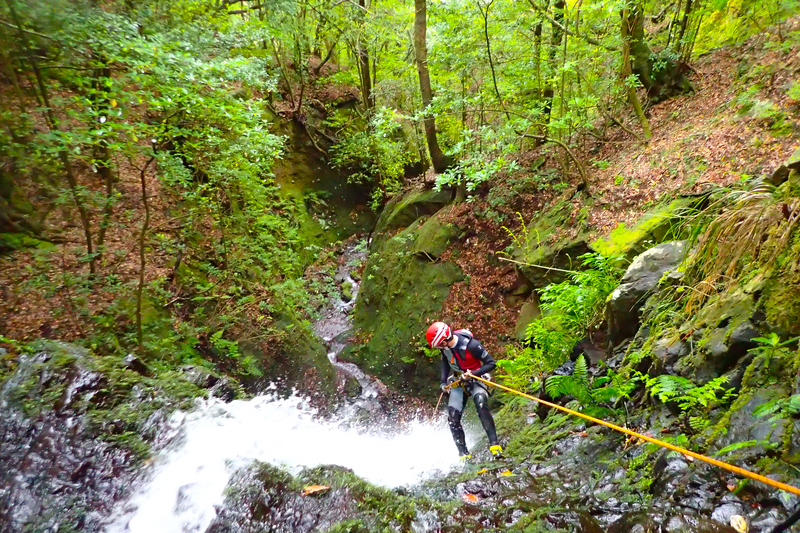 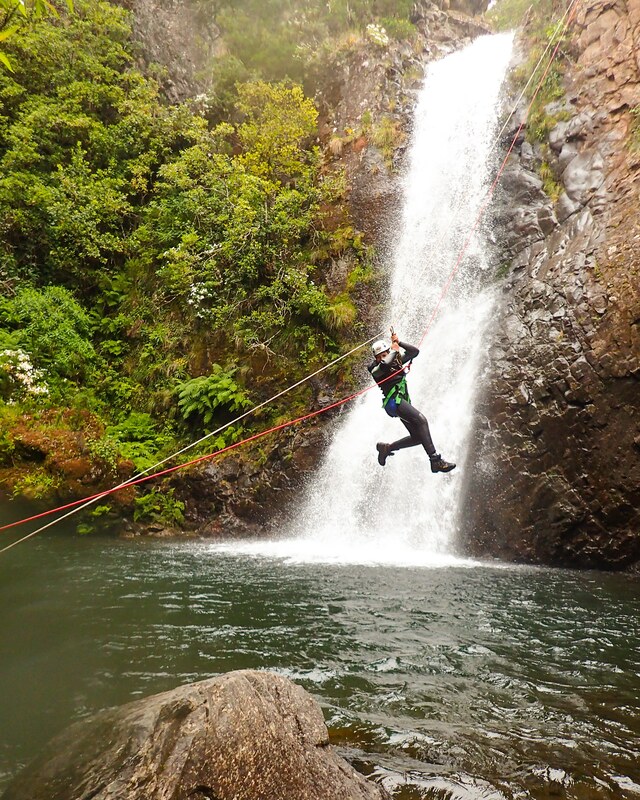 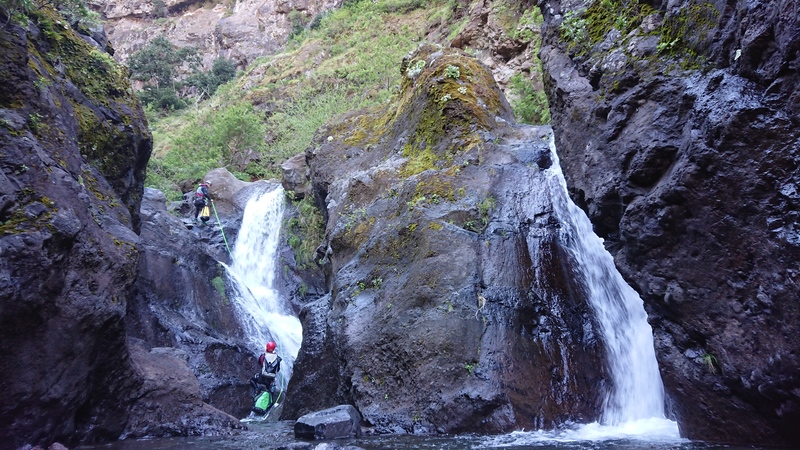 On the intermediate canyoning tour we propose to you a variety of routes that provides you with lots of thrills and the best sceneries in Madeira island. 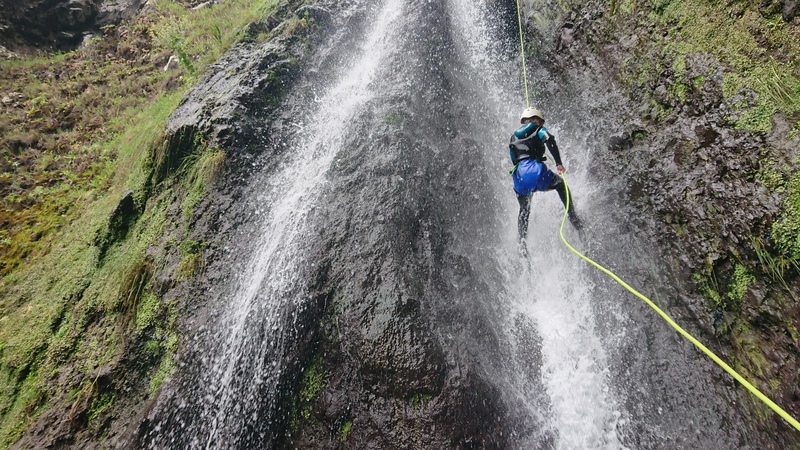 Astonishing views with impressive geological features are always present and surrounded by the uniqueness of the macaronesian forest. 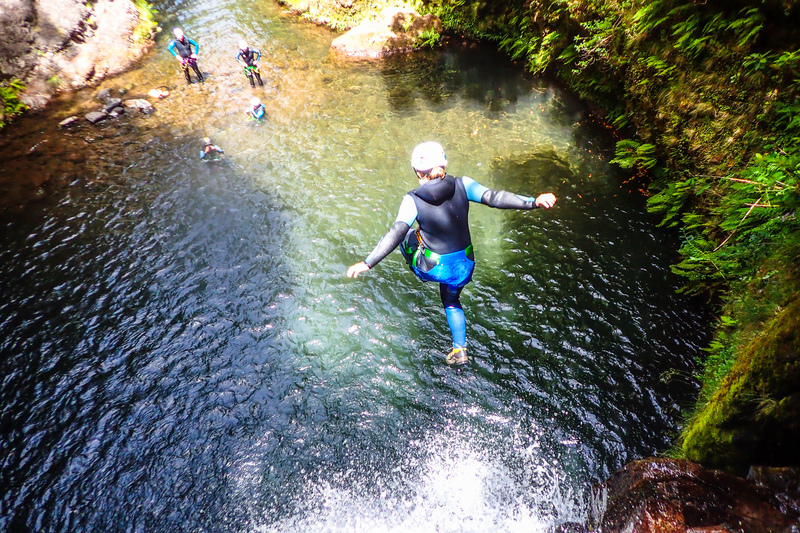 This is the perfect level for all of those who are really adventurous and fit or have already had a first contact with this activity therefor want some more excitement and thrills whether it is with big jumps or big waterfalls. 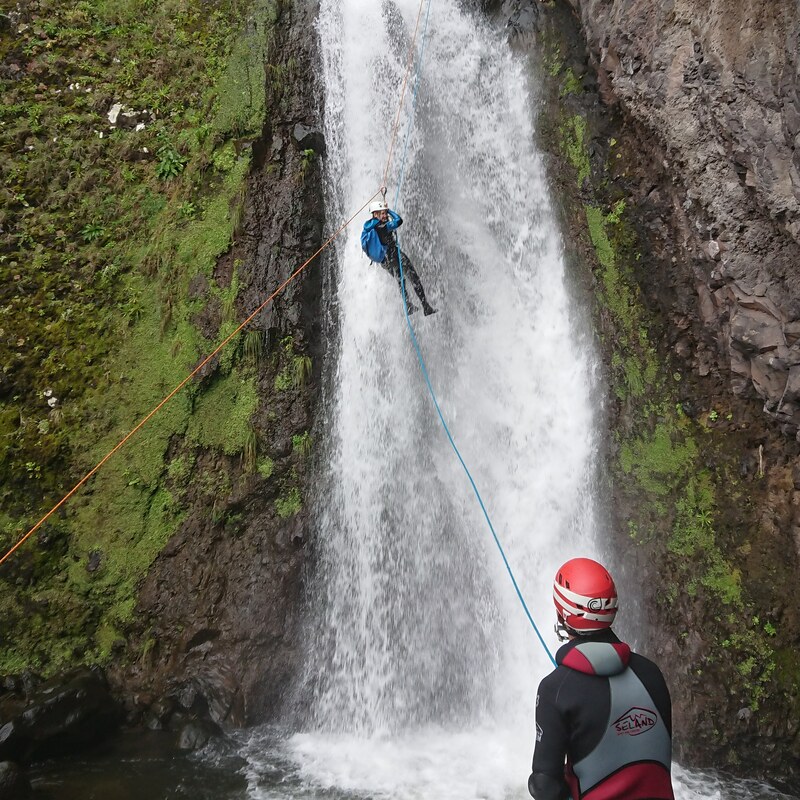 The safety, excitement and adventure is on us.